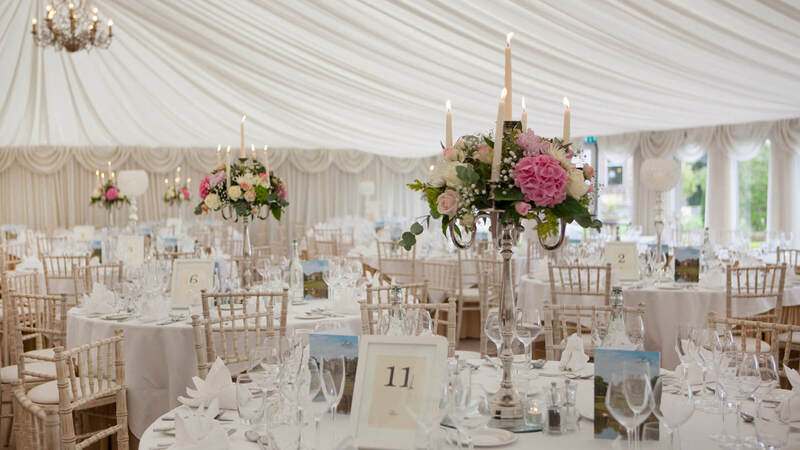 Castle Leslie Estate is the perfect, most breath-taking venue for your wedding celebration. Nestled on 1,000 acres of undulating Irish countryside, dotted with ancient woodlands and glittering lakes. Castle Leslie is a stunningly beautiful and secluded estate in Co. Monaghan ideal for your wedding celebration in Ireland. Still in the hands of its founding family it is steeped in history and full of character and charm. It’s no wonder it’s referred to as “Europe’s Most Romantic Hotel”. The character and charm can only be felt, not described therefore we invite you to come and experience it for yourself and look forward to welcoming you to this Estate to sample our renowned hospitality. To arrange a private viewing, call now on +353-47-88100 or email events@castleleslie.com. A truly private and stunningly beautiful rural escape Castle Leslie Estate is a magical setting for a wonderful Irish Castle Wedding. Castle Leslie Estate is an incredibly intimate and romantic venue for a Winter wedding. Whether you are planning an intimate or a grand Winter wedding celebration.